Tamalyn Ramsey knew who she was and what she was capable of doing. However, in a single, unexpected moment, that perception of herself changed. That change led to years of self-doubt and a journey that challenged her to become the person who she is today, stronger, smarter and more confident in herself than ever before. 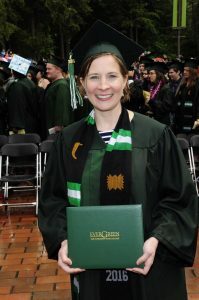 Tamalyn’s journey culminated when she attained her bachelor’s degree in Organizational Leadership in 2016 from The Evergreen State College. But to understand Tamalyn’s journey, we must start in the middle. 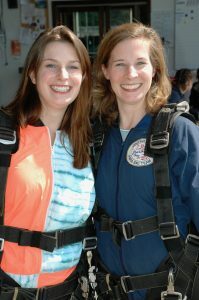 At a high point in her career at a respected finance company, Tamalyn found the opportunity to take a new job, a lateral career move with one big benefit. The benefit, a bicycle commute, would keep her close to home to spend more time with her family. The slight dip in pay would balance out in time, and she would see her salary rise as she continued to make a name for herself in her position with the new employer. There was the one thing that Tamalyn didn’t have. The question was straight forward. She couldn’t dance around it with clever linguistics, and she wouldn’t lie. “I never actually graduated,” she said finally. Her statement hung in the silence. The hiring manager’s face fell. Tamalyn’s years of proven experience and skill was laid out on the table before her, but the hiring manager simply couldn’t hire her without a college degree. She left the office defeated, realizing that if she ever lost her job with her current employer, she might not find another like it again. Tamalyn was stunned, disappointed, and for the first time, she found she lacked confidence in herself and her abilities. 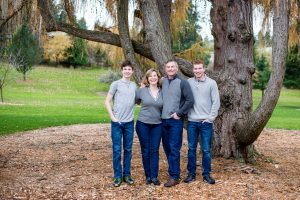 She had grown and learned steadily in her career, moving from her home in Alaska where she started in tourism, continuing the career in the Pacific Northwest. She shifted into the IT industry, developing project management skills and honing her talent in leadership. Nimble in technology in both operational and business aspects, her one stumbling block had been attaining a degree. Tamalyn had tried over the years. Starting college just out of high school at the University of Alaska Anchorage, her time was cut short by family necessity. Subsequent tries were all failures. She felt lost in a sea of faces in her classes and patronized by the institutions where she applied. Try after try of checking off the boxes and taking classes that never seemed to amount to anything, she couldn’t see value in the course work she was doing. So Tamalyn, who had always found a path to success in other areas in her life, couldn’t find a path to success in college. She tried and failed six times. 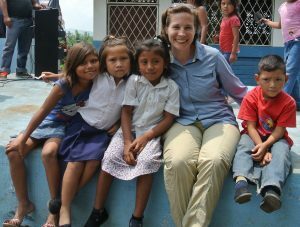 When an opportunity came up to work in a senior role with a non-profit, World Vision, Tamalyn gave it a shot. This time, her achievement and skills were enough to speak for themselves, and the Senior Vice President didn’t care that she hadn’t finished college. But now, Tamalyn did. The door of self-doubt wedged open in herself during that interview years ago. It had widened more and more every time she quit school, and it would never close until she attained her degree. The Evergreen State College flyer arrived in the mail one day, advertising weekend and evening studies. It caught Tamalyn’s eye. When it came time for the informational session, she found herself in attendance. She decided to give it a shot. At Evergreen, Tamalyn found the right fit: course work that engaged her, faculty that cared about her success and a diverse student body where she belonged. In classes at Evergreen, Tamalyn found herself engaged like she’d never been before. Her ideas were challenged. She felt respected for who she was, and for what she could bring to the conversation. She experienced diversity, both in people and ideas. “I learned from 19-year-olds, and 60-year-olds, and stay at home moms, all types of people,” she says. There was also diversity of thought and ideas, and that diversity is where Tamalyn found herself learning the most. Tamalyn found connections with others like her, but she found she was learning from everyone, of all types and perspectives as well. Prior Learning from Experience (PLE) classes really caught Tamalyn’s interest. She knew the skills she’d attained over the course of her career were valuable and sought after, and she wanted to integrate that learning into her degree. “At first I thought PLE would be check the box sort of courses,” she said “like they had been at all the other schools I had tried.” But PLE at Evergreen was different. Tamalyn found herself challenged more than ever. She built her own classes to match courses that would be found at other universities. She wrote 40- and 60-page papers exhibiting her knowledge and experience and worked with faculty to demonstrate her understanding. Not only did PLE give Tamalyn an opportunity to show what she already knew, but it taught her valuable communication and research skills beyond those that she had already learned in her work experience. Before she knew it, Tamalyn found herself walking across the stage receiving her degree. Now, several years since attaining her degree, Tamalyn, recently promoted to a more senior position, is still in the field she loves, working for World Vision. She has utilized her skills to be even better than she was before. Her degree from Evergreen didn’t change the person she is, rather it brought the best of her forward and helped her regain the value in herself that was there all along. To see what your future self could look like, take a look at The Evergreen State College website.